The 4 oz. 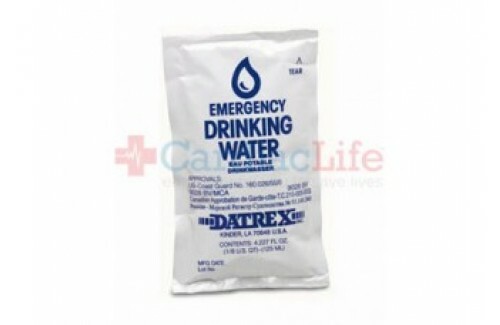 emergency drinking water pouches provide critical clean water in a severe emergency or disaster. They are U.S. Coast Guard approved and have a 5-year shelf life, reducing the need for replacement and lengthening the life of an emergency kit. Each pouch is extremely durable, compact and lightweight. The 4 oz.size provides important portion control for groups or individuals in an extended emergency. Pouches are easily opened. In an emergency, each person should drink a minimum of 8oz. (2 pouches) per day. 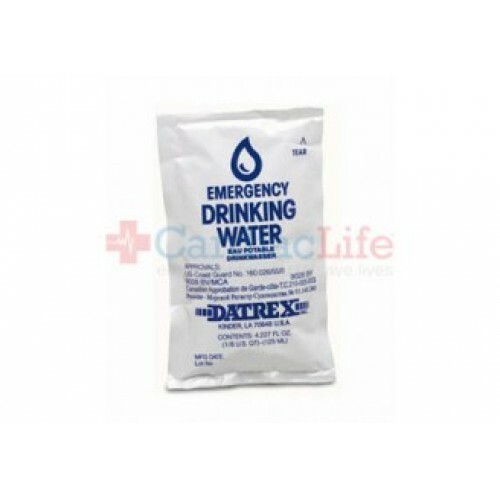 <="" span="">Add additional pouches to your LifeSecure Emergency kits to increase your supply of water beyond the minimum requirements. Dimensions and weight: 13" x 6.75" x 9.75", 20 lbs.